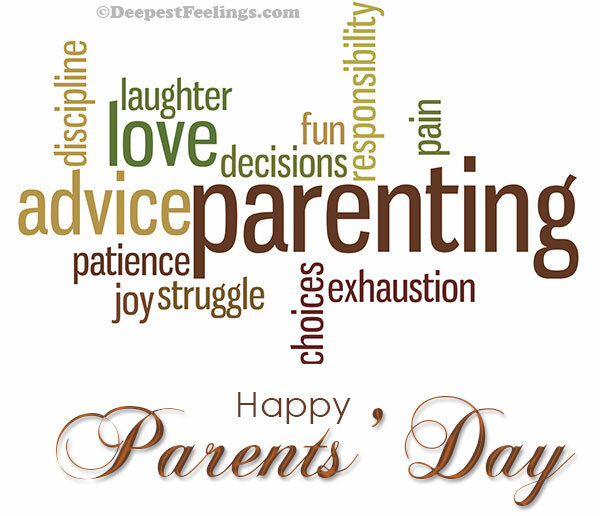 Originally designated to be a holiday in honor of parents and parenthood, Parents' Day has now come to stand as a time to appreciate the unparalleled efforts of parents in nurturing their offspring and make them feel special for a day. Wish "Happy Parent's Day" to your parents and send festive greetings to your friends and dear ones with an exciting range of heartwarming cards related to Parents' Day. You send this cards from your mobile, whatsapp or can post them on your social network. 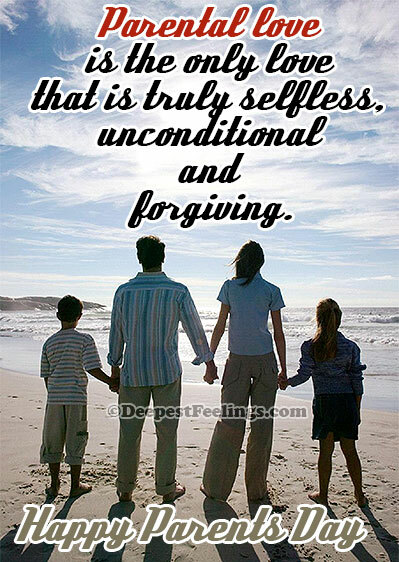 Make this Parents' Day a truly memorable time for your parents with these hearty greetings. If you like these free Parents' Day greeting cards and want to refer them to your pals, just click here and go on. Indulge in a grand Parents' Day celebration with one and all!